Troy Garity recently received critical acclaim for his role as a soldier in love with a transgendered nightclub performer in the controversial 2003 drama, SOLDIER'S GIRL (dir. Frank Pierson). Garity was also recently seen as the new white haircutter in an all-black neighborhood landmark in the 2002 ensemble comedy BARBERSHOP (dir. Tim Story). His breakthrough role was as the getaway driver for crime team Billy Bob Thornton, Cate Blanchett and Bruce Willis in Barry Levinson's 2001 offbeat comedy BANDITS. Garity's first major role was in Robert Greenwald's 2000 sixties counterculture film STEAL THIS MOVIE. In the Abbie Hoffman biopic, Garity portrayed his own then-activist father Tom Hayden. Garity made his screen debut at age 8 in an uncredited appearance in Mark Rydell's 1981 Oscar-winning film ON GOLDEN POND. Acting is obviously genetic: Garity is the son of actress Jane Fonda and the grandson of screen legend Henry Fonda. Alison Folland received international attention for her role as the ugly duckling lesbian Claude in Alex Sichel's critically-acclaimed 1997 coming-of-age film ALL OVER ME. After making her 1995 screen debut as wide-eyed Lydia controlled by Nicole Kidman's Suzanne Stone in Gus Van Sant's TO DIE FOR, Alison has appeared in numerous films, including Allison Anders THINGS BEHIND THE SUN, Kimberly Peirce's BOYS DON'T CRY, Barbet Schroeder's BEFORE AND AFTER and Van Sant's FINDING FORRESTER and GOOD WILL HUNTING. Folland will soon be seen in Laura Colella's romantic comedy STAY UNTIL TOMORROW. 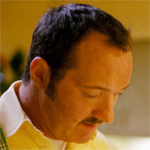 With a career spanning 30 years and over 60 feature films, Randy Quaid has proven to be one of Hollywood's most versatile actors. Quaid's numerous roles over the past decade have been as diverse as playing a robot opposite Eddie Murphy in Ron Underwood's THE ADVENTURES OF PLUTO NASH to saving the world as the frustrated crop duster in Roland Emmerich's blockbuster INDEPENDENCE DAY. Quaid began his career in Peter Bogdanovich films (THE LAST PICTURE SHOW, WHAT'S UP, DOC?) in the early 70s. He received a Best Supporting Actor Oscar nomination for his first role in 1971's THE LAST DETAIL, directed by Hal Ashby and starring Jack Nicholson. Among Quaid's other film credits are Bob Balaban's PARENTS, Ron Howard's THE PAPER, Tony Scott's DAYS OF THUNDER, Harold Ramis' VACATION, Walter Hill's THE LONG RIDERS, Alan Parker's MIDNIGHT EXPRESS, Arthur Penn's THE MISSOURI BREAKS, Ted Kotcheff's THE APPRENTICESHIP OF DUDDY KRAVITZ. Quaid's numerous television appearances include his acclaimed performances as Lyndon Johnson in "The Early Years" and Blanche DuBois' suitor in "Streetcar Named Desire". Over the past 40 years, Bruce Dern has built a prestigious career in film, television and theater. Among Dern's film credits during the past decade are Billy Bob Thornton's ALL THE PRETTY HORSES, Jan De Bont's THE HAUNTING and Walter Hill's WILD BILL. Dern received an Oscar nomination for his performance as Jane Fonda's Vietnam War military husband in 1978's COMING HOME (dir. Hal Ashby). In 1982, Dern won Best Actor at the Berlin Film Festival for Jason Miller's THAT CHAMPIONSHIP SEASON. Dern's other career highlights include Joe Dante's THE BURBS, James Foley's AFTER DARK, MY SWEET, Rob Nilsson's ON THE EDGE, John Trent's MIDDLE AGE CRAZY, Walter Hill's THE DRIVER, John Frankenheimer's BLACK SUNDAY, Alfred Hitchcock's FAMILY PLOT, Michael Ritchie's SMILE, Kirk Douglas' POSSE, Jack Clayton's THE GREAT GATSBY, Bob Rafelson's THE KING OF MARVIN GARDENS, Douglas Trumbull's SILENT RUNNING, Mark Rydell's THE COWBOYS, Jack Nicholson's DRIVE, HE SAID and Sydney Pollack's THEY SHOOT HORSES, DON'T THEY? In his early years as a screen actor, Dern appeared in Roger Corman's THE TRIP, PSYCH-OUT, THE WILD ANGELS and BLOODY MAMA, Elia Kazan's WILD RIVER, Hitchcock's MARNIE and Robert Aldrich's HUSH HUSH, SWEET CHARLOTTE. Hank Harris recently starred as Christina Ricci's physically-challenged love interest in 2002's touching comedy PUMPKIN (dirs. Adam Larson Broder, Tony R. Abrams). Harris previously appeared in Nick Castle's 2000 fantasy-comedy DELIVERING MILO, Tomas Herrera's 1999 comedy SIGN OF THE TIMES and Harold Becker's 1998 MERCURY RISING, starring Bruce Willis. Harris was formerly a regular on US television series "Brookfield," "Popular" and "The Adventures of A.R.K." Debra Monk's recently starred in the television revival of the classic "The Music Man," starring Matthew Broderick. Monk was a 1999 Emmy Award winner for her recurring guest appearance as Katie Sipowicz on the hit TV series ÒNYPD Blue.Ó She has also been a regular on the series "A Nero Wolfe Mystery." Her film credits include Nicolas Hytner's CENTER STAGE, Taylor Hackford's THE DEVIL'S ADVOCATE, starring Al Pacino and Keanu Reeves, Michael Apted's EXTREME MEASURES, starring Gene Hackman and Hugh Grant, and Clint Eastwood's THE BRIDGES OF MADISON COUNTY, starring Meryl Streep. An accomplished stage actress, Monk won the coveted Tony Award for her Broadway performance in Lanford Wilson's RED CURTAIN. Also a singer, she has appeared in numerous Broadway musicals, including "Nick and Nora," "Steel Pier," "Company" (1995 revival), and "Pump Boys and Dinettes," which she co-wrote.